We woke up at 5:30 in the morning. Breakfast consisted of a quinoa porage that was amazing. There was also a variety of other dishes, but I was too focused on the quinoa to notice. Just like the day before, we gathered our things in our green packs, packed our day hiking gear, and we were off. Day three, according to our guide, was going to be a short day. We walked for 2 hours and stopped frequently looking at different archaeological sights; we were also given lessons on some of the local plant life as well as how the Incas used them in their daily life. Jose took a moment to show us how they weaved grass to make bridges. Human sacrifice: Our guide talked to us about the Inca child sacrifices. He said that it was considered an honor to be sacrificed and that parents were often proud to have their children chosen. He also mentioned something that seemed to be very peculiar. He said that people born on certain dates were often the ones sacrificed. He also mentioned that if a political leader or a very powerful rich native was born on that specific date that they could pick a stand in for their sacrifice by having a local peasant in the community who was born on a leap year take their place. Sounds kind of harsh. I have not looked up this claim personally, so please do not quote me on it. About halfway through the hike we stopped at a high point where we could see Aguas Calientes and an amazing vista of the entire mountain range. It was there that I was able to briefly get cell service and I uploaded a photo on Instagram letting everyone know that we were still alive. While we were at the lookout we were all given green t-shirts with the Alpaca Expeditions logo as well as a map of the trek we had nearly completed. We also took one last group photo with our porters. We were given about 20 minutes to explore the site and from there we had a hour and a half hike hour hike toward some ruins that we could see in the distance called Intipata. During the downhill hike, I noticed a tiny little bird sitting on the trail. He was sitting so still that I thought that he was dead. He sat on a stick motionless just staring at me, so I decided to poke his little stick with my big stick. As soon as I made contact, he starting chirping really loudly and running. He moved so fast that it caught me off guard. As soon as he ran some distance away, we heard a rustling in the forest just to our left. Something big was moving in the brush. We were really scared, we thought for sure that we upset its mother. We stood there listening as the rustling moved toward where the baby bird was. As the creature moved through the forest, we could see leaves falling and brush moving. All of the sudden a huge bird flew across the trail just in front of us. This thing was massive and looked really upset. We waited for a little while to see if it would leave but it kept flying across the trail. Alynn came by our side and we one at a time ran past the point where we could hear the bird. We managed to record the tail end of the ordeal which I will post beneath this paragraph. It was ridiculous but scary. We made it out alive. We made it to the ruins called Intipata. Once there we were able to take some pictures and explore the site. To say it was breath taking is an understatement. I don’t even know how to describe it. The ruins sat on a mountain side where it faced towering mountains. You could walk to the edge of the ruins site and look down at about what I would estimate would be about an 800-1000 foot drop. My memory might be a little off, but trust me when I say that you do not want to fall off the side. What was funny was the ankle high rope that separated the cliff from the ruins seemed more like a tripping hazard than protection. In the distance, you could see a small town whose name I can not recall. You could also make out some train tracks and a small river that flowed between the two valleys. It was one of many amazing sights that we had experienced on this trip and worth every second on those Inca steps. We took the little time we had to take some great photos. Unfortunately we didn’t get a chance to explore the area for too long before we were told that we had to move on to the next site. Our hike ended at a large campsite which had other groups from many different expedition companies. It reminded me of an over crowded tourist camp site at a national park in the U.S. The difference was that we were surrounded by some of the most impressive mountains we had ever seen. Our tent faced those mountains. I really wish that I had asked our guide the names of the mountains so I can share them with you. The best I can do is share a picture that we took from our tent while we enjoyed the rest and sipped on some coca tea. We had several hours to burn before dinner. Jose told us that there was a shower near by where we could wash up, however, there was no hot water. It was about 35-40 degrees outside, so it seemed a little extreme. I decided that I would give it a try. I packed up my things and headed down to the public shower room. It was a decent size with standing toilets that looked like they had not been cleaned in months. I was really nervous about getting some kind of crazy foot infection because I did not bring any sandals (due to the weight restriction). I told my self that the job needed to be done and headed in. There was no where to hang my clothing or towel. So I took a freezing cold shower while holding on to my clothing in one hand and switching when necessary. It was horrible. Because I had to hold all of my gear, I could not use any soap. I made sure that I was completely rinsed off and got out of there as quickly as I could. A younger guy was waiting out side and upon exiting the stall, I wished him good luck. Sadly, I did not get very clean. All that I managed to do was get myself wet in near freezing temperature. Thankfully, I did not get sick. Alisa attempted to take a shower too, but decided not to because there was nowhere to hang her things. I guess it did not really matter, because we just put on the same dirty clothing we were wearing beforehand. Oh well! While we waited for dinner, we walked over to another ruin site that was about a quarter of a mile away. It was so close that we did not have to carry that much gear with us. All twelve of us walked there together while talking and laughing. The group of twelve strangers at this point in the trip had become friends. I can not remember the name of the ruins but according the the brochure that I still have, I want to say that it was called, Wiñay Huaayna. I will leave the pronunciation to the experts. These ruins, like all the others, were nothing short of amazing. They must have stood about 300 feet high. We climbed all around them and explored every nook and cranny. We even found showers that were still functioning to this day. While we were walking around, we noticed that the llamas that had blocked our trail the earlier in the day had found their way to the ruins. While they were busy feeding on the grass, we decided to try to touch them. I am not sure about you but before this trip, I did not have a lot of experience with llamas, and that is probably a good thing. Those things are huge. They look cute and cuddly from a distance but when you are standing right in front of one of them it can be really intimidating. There were three females and one male. The male kept a close eye on the females as we approached them and grunted every now and again to let us know that we were on his property. We took a lot of photos and shared some more laughs until the sun starting setting. When we headed back to our campsite it was nearly dark. The ruins in the middle nowhere began to grow gloomy. It was a very interesting experience knowing that people at that very spot lived, raised their kids, hugged their wives, and went about their daily lives so many years ago. It is truly a humbling experience. When we returned to the campsite, dinner was ready. Before we ate, we stood outside the tent in a circle and José gave a speech. We were surrounded by all of the porters and the two guides. José told us that the porters work very hard. They are very poor and they take a lot of pride in what they do. A lot of them work for years to get a good position in an expedition company. Many of them will start at a very young age. The youngest porter in our group was 18 years old and the oldest was over 65 years old. He told us that they do not have a lot, but though hard work, they have what they need to feed the families and they have a source of pride. A lot of other companies exploit their workers. Alpaca pays them a good wage and supplies their gear for them so they can work safely and are able to keep all of their earning. He said that to be a native and have a uniform is something they are proud of and when they wear it, they hold their head up high. He introduced us to the youngest person in the group who was the sous-chef in training. His goal was to become a chef on his own expedition. Until then, he would work as an apprentice under the current chef of the group. We all clapped and thanked him. 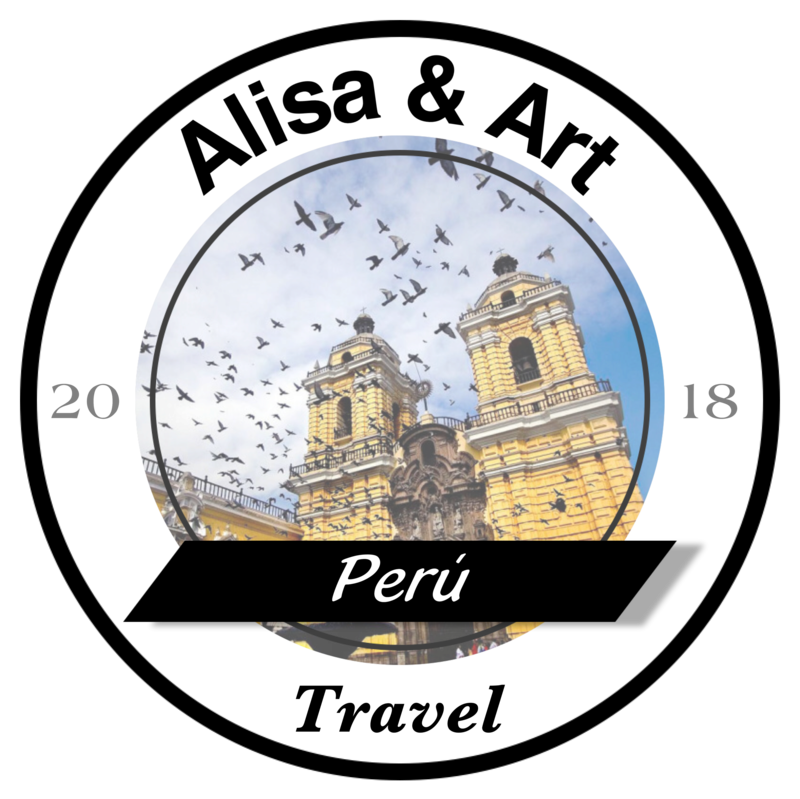 He also told us that working as a porter might not be a viable job in the future as the Peruvian government has a lot of plans for the Inca trail. They are not sure if a gondola will be installed which would take tourists up the Inca trail without the need for guides or camping. Before starting the trip, I knew that it was customary to tip the porters. I am writing this now about eight months since our trek ended, so I don’t remember the exact amount we tipped. I want to say that we tipped any where from 30 to 40 soles per person or roughly 20 dollars per person. There was a separate option for the cook who we ended up tipping a few dollars more for his amazing cooking. Dinner that night was great. We sat around enjoying our meal and each others laughs. It was a stark difference from our first meal together where no one said a word. We talked about our jobs, our goals, and our families. I tell you…traveling is one of the greatest experiences you will every have in your life. Before dinner was served, our guide told us that he had a treat for us. The head chef had prepared a cake for us. We were baffled. How can they make a cake in the middle of nowhere? Leonardo walked in with a beautiful flan cake which he made in a pressure cooker on the trail. Alisa was given the honor of cutting the first slice. After dinner, we were told that we would have to wake up around 3:30 and have our things ready to head down to the to the entrance of Machu Picchu.